Any roofing and gutter company knows gutters are essential to your home. They drain water from your roof and direct it to places where it won’t cause any damage to your property. Well-maintained gutters lead to longer lasting roofing and fewer home repair costs. When storms come, gutters help in minimizing or preventing rainwater from damaging your roof and drenching your home. Clogged or defective gutters, on the other hand, do nothing but add to the risks of storm damage to your home. Make sure to do the following so that your gutters function properly during a storm. Check Your Gutters for Sagging and Obstructions – Look at your gutters and see if they’re sagging or in need of repair. Remove all visible obstructions so that they work properly. Remove Debris -Remove all sorts of debris that can block water from entering your gutter and downspouts. This includes leaves, twigs and other kinds of dirt buildup. Test If It Works Well – Run water through your gutter using a hose and watch out for leaks. If there are no leaks but the water doesn’t go down your downspout, chances are there are obstructions to the water’s path, or your downspout might be clogged at the opening. Check for Structural Problems – Storms can damage your gutter just as much as they can damage your roofing. Check for dents, holes, sagging, loose hangers and problems at the seams. Run water through your gutter and watch out for leaks. Clean and/or Remove Debris – New debris could accumulate in your gutter during a storm. Remove new debris such as leaves, twigs and even shingles from your gutter to prevent clogging. Check Your Downspout for Clogging – Pour water into your downspout to see if there are any problems with it. 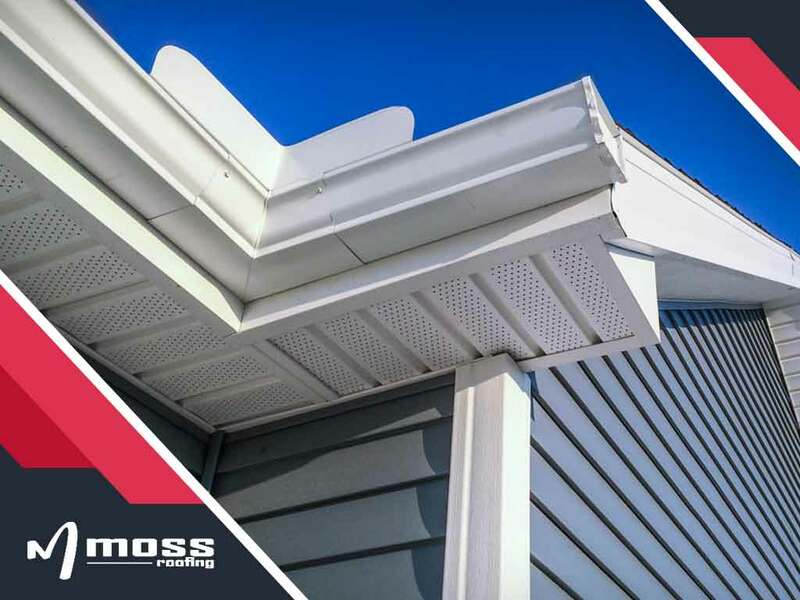 Contact an Expert Gutter Company – If your gutter has sustained major damage, don’t hesitate to contact gutter installation and repair experts like us at Moss Roofing for help. Apart from repairing your gutter and roofing, we can also help you with your insurance roof claims. Call us at (317) 207-4778 today or fill out our contact form for a free estimate or inspection. Moss Roofing is a recognized storm damage repair expert in Indianapolis, IN, and we also serve homeowners in nearby areas.